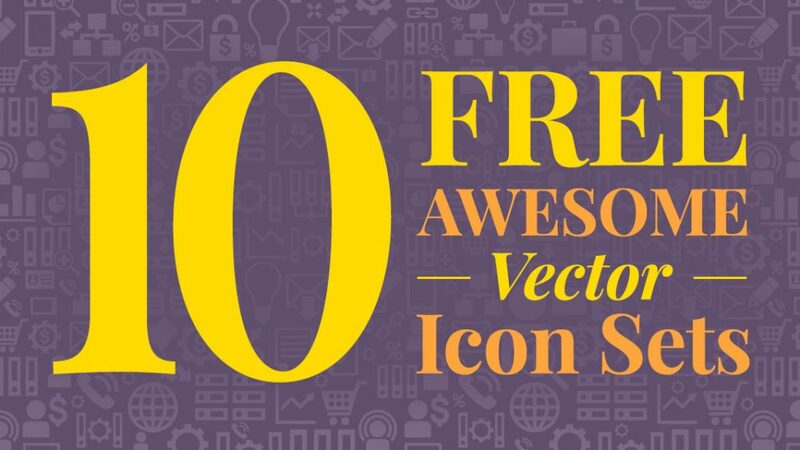 Here are 10 awesome sets of free vector icons that would make a great addition to your design arsenal. These will help to grab the viewer’s attention while saving you design time. Icons are a requirement for any web-related project, but creating your own custom icons for each project is really not practical because it’s so time-consuming. Also, finding great free vector icon sets in a pool of thousands of icons can be difficult. Here is a list of free vector icon sets I’ve found to be very useful. Check them out! Formats include SVG and smart objects in Photoshop. DOWNLOAD this collection of flat social media vector icons. DOWNLOAD this collection of flat vector icons. DOWNLOAD this collection of flat smart object icons. DOWNLOAD this collection of minimal vector icons. DOWNLOAD this collection of vector icons. DOWNLOAD this collection of shadow circle vector icons. Let me know in the comments below. Or if you have other vector icon resources that others may find helpful, please list them!